EU-Turkey relations: the beginning of the end? Turkey's integration with the EU has entered a phase of standstill if not decline. Twelve years ago, when Turkey started its accession negotiations with the European Union, a new chapter was opened in the history of Turkey's relations with the community of European countries. Turkey signed the Ankara Treaty in 1963 for Association with the European Economic Community (EEC); applied for full membership of the EEC in 1987; joined the Customs Union with the European Union in 1996; and became an EU candidate country in Helsinki in 1999. All these dates were important milestones in Turkey's journey toward the EU. 2005, however, was probably the most important turning point as it finally allowed Turkish citizens to see EU membership as a realistic goal. The commencement of accession negotiations was the highlight of this adventure. Today, twelve years after the start of negotiations, many hold the view that 2017 will be remembered as the year when Turkey's path to the EU encountered serious obstacles. It is difficult to judge now whether future observers will still consider Turkey as a potential member. There are two very fundamental reasons for being sceptical about the future. First, the EU is beginning to embark upon a fundamental transformation as to its own future. Second, Turkey's accession negotiations have practically been frozen. It will hardly gain the momentum it had at the beginning of the accession negotiations in October 2005. What has happened? Why is the country which had such a long-standing special relationship with the EU before commencing accession talks now heading towards a rift with its western partners? Is this process irrevocable? If it is, how can Turkey and the EU salvage their almost sixty-year relationship? If it is not, what might be the consequences? In Turkey, there is a very strong feeling that 2005 was not only the beginning of accession negotiations but also the end of the EU’s objective and impartial attitude towards Turkey: the argument goes that the EU's acceptance of Cyprus as a member created an unfavourable setting for Turkey's accession process. And, although it is not openly admitted, among Europeans there is a non-negligible tendency to support this interpretation, too. It is certainly true that the government of Cyprus, with its entirely Greek Cypriot administration, not only fails to represent Cypriot Turks living on the island but also hampers Turkey's accession, blocking 6 of the 35 accession chapters due to be discussed in membership talks. In spite of that, the first seven years of Turkey's talks with the EU Commission did not meet any insurmountable difficulties. But in 2012, when Cyprus assumed the Presidency of the EU from July to December, it became clear that the EU-Turkey process would begin to meet severe hindrances. Since then, the downward trend in Turkey’s overall relations with the EU has gained momentum. Of course, it would be unfair to put the blame entirely on the divided island state of Cyprus. France, for example, also emerged as another objector during the Presidency of Nicolas Sarkozy. Germany has for some time talked up alternative formulae such as "privileged partnership" and underlined the fact that accession negotiations did not guarantee full membership. These were indications that many European countries were not wholeheartedly in favour of Turkey joining the club. It would also be unfair, however, to say that the cause of the deterioration in Turkey-EU relationship lies solely in Europe. Turkey has not been forthcoming in doing its homework, particularly when progress reports of the European Commission drew attention time and again to a deteriorating human rights situation in Turkey. The 2005 accession negotiations were launched shortly after the Council of Europe removed Turkey from a watchlist of countries with poor performance in human rights and fundamental freedoms. But in April of this year the Council re-introduced the monitoring mission and relegated Turkey back into the group of poor performing countries. The Council’s April decision in turn led to the European Parliament recommending in May that the EU suspend accession negotiations with Turkey if Ankara went ahead (as it has since) with plans to expand President Tayyip Erdogan’s powers. Practically, negotiations were already in limbo, with no progress towards opening new chapters and little expectation that this would change. But there was still some hope that the relationship could be kickstarted by reviewing and upgrading the Customs Union between Turkey and the EU. When Angela Merkel declared that even that lesser goal is no longer a priority, Turkey's integration with the EU entered a phase of standstill if not decline. This has to change. Both Turkey and the EU need the continuation of this partnership. It is a matter of definition whether this partnership will be in the form of full membership or in a different form. What is important is not to break the process and not to cause alienation. The need for sustainable EU-Turkey relations obliges both sides to take steps to honour their commitment to integration. Turkey has to convince its western partners that it is committed to internalising and implementing the ideals, principles and standards of the EU. If the perception in Europe fails to be positive about Turkey and if Turkey does not show any effort to correct that image, the current state of affairs will not change. Turkey also has to give up its belief that the attitudes of Germany or other EU member countries are primarily motivated by domestic political purposes and that they will fade away when election processes in those countries will come to an end. Turkey itself may see foreign relations as a mere extension of domestic politics. But the European Union is based on a set of values, to which member countries attribute real importance. 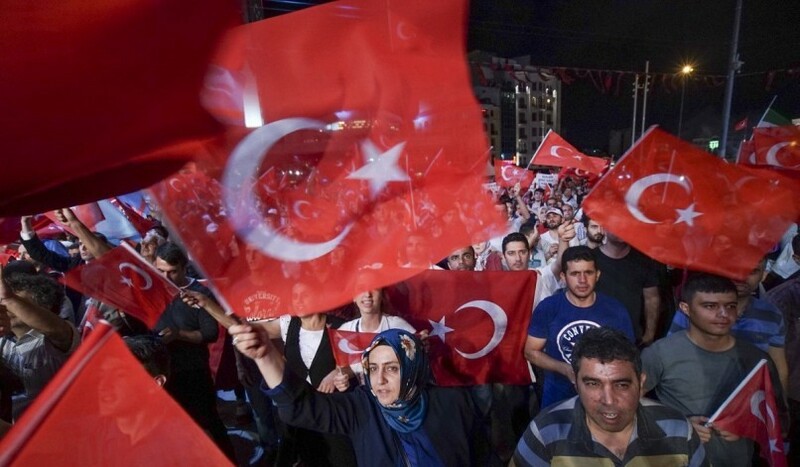 Criticism of Turkey for disregarding those values is often genuine, not political. Finally, Turkey should also grasp the philosophy of the essence of European Union. Decisions are taken on the basis of consensus and individual member countries all have equal votes when it comes to the issue of membership of a candidate country. Therefore, focusing merely on the relations with European Commission and the European Council does not help. The path to Brussels passes through Berlin, Paris and all the other capitals of EU member states. Maintaining friendly relations with individual members will play an important role in Turkey’s further integration or otherwise with the European Union. The European Union, for its part, should not look at Turkey as a schoolboy to be disciplined. Regrettably, the EU has not been able to make use of the accession negotiations and transform this process into effective leverage. Freezing the accession process is the easiest way out and will do little more than give an upper hand to those in Turkey who oppose EU membership anyway. Many in Europe feel that any progress, such as opening a new chapter, would be tantamount to rewarding a country for failing to comply with EU standards. But, on the contrary, opening chapters 23 and 24 (those dealing with fundamental rights and freedoms as well as the judiciary and rule of law) could create effective leverage publicly exposing Turkey’s poor performance in these fields and increasing international pressure on Ankara to reform. Keeping those chapters closed will only estrange Turkey to those values even more. Turkey’s alienation, then, could become a serious challenge to the harmony and stability of the Euro-Atlantic community in its immediate neighbourhood. Unal Cevikoz is the former deputy undersecretary of the Turkish foreign ministry and former Turkish ambassador to Iraq and Britain. The EU-Turkey Strategy Group project was made possible with funding from the Robert Bosch Stiftung.